Documentary heritage submitted by the Islamic Republic of Iran and recommended for inclusion in the Memory of the World Register in 2007. Abolghassem Mansour-ibn-Hassan Firdausi Tousi (Ferdowsi) was a prominent figure in Iranian poetry and the nationalist poet of the Persian Empire. He was born in the Iranian city of Tous in 941 and died in 1020, ten years after he finished his major epic work, the Shâhnâmeh (Book of Kings). This is one of the classics of the Persian-speaking world and is on a par with the ‘Iliad’ and the ‘Aeniad’ of the Greco-Romano cultural communities. An important feature of this work is that although during the period of its creation, Arabic was the main language of science and literature, Ferdowsi used only Persian and therefore helped to revive and maintain this important world language. Today Persian is spoken by over 65 million people in the Islamic Republic of Iran, Afghanistan, Tajikistan and Pakistan and diaspora communities. Documentary heritage submitted by the Islamic Republic of Iran and recommended for inclusion in the Memory of the World Register in 2009.This collection consists of 69,000 pages spanning the period 1589 AD-1735 AD (1000-1148 Lunar Calendar) and relating to a vast geographical area including the Islamic Republic of Iran, especially Khorasan province, and Afghanistan. It contains information on administrative, social, economic,endowment, religious and other issues that provide the reader with an image of Mashhad in Khorasan Province as well as the status of social life in the Safavid era. The collection of maps is a compilation of handwritten and lithographic maps which show the geographical plateau of Iran as a major part of the historical Silk Road as well as the interface of the North-South corridor. The collection is a significant research document, providing an authentic source for studying the demographic, natural, historical and cultural geography of different West-Asian regions. The maps provide information on boundary lines, impacts of human-instigated and natural disasters on the borders, and geographical place names some of which are now either non-existent or have been renamed. The first and most important medical treatise, prepared in the Persian language. This work is authored by ‘Esmaeil Jorjani’ in 504&nbsp; (1110 Gregorian Calendar). For centuries the Dhakhīra has been used as an authentic source in medical education. It has served as the basis of many books on Medicine. The treatise, which was translated into Arabic by its author, has been of great use in Iran, Central Asia, India and the Ottoman empire. The book has also been translated into Urdu, Turkish and Hebrew-an indication of the book’s significance for other nations. Documentary heritage submitted by the Islamic Republic of Iran and recommended for inclusion in the Memory of the World Register in 2011.Al-Tafhim li Awa’il Sana’at al-Tanjim is a Persian language work by the renowned Iranian scientist, abu-Rayhan al-Biruni (440-362 HD/ 973-1048 AD) containing questions and answers in a format easily understandable by new learners in sciences. This is the oldest Persian text on Mathematics and Astrology and was composed simultaneously in Persian and Arabic by abu-Rayhan himself. It was written when Iranian scientists and scholars used Arabic to write their scientific works. By composing his book in Persian, abu-Rayhan contributed to the vivification of scientific Persian. Documentary heritage submitted by the Islamic Republic of Iran and recommended for inclusion in the Memory of the World Register in 2011. Panj Ganj or Khamseh consists of five separate manuscripts in the Persian language all gathered in a single volume. These sections are all versified in the form of long poems with rhymed couplets, or Mathnavi as expressed in the Persian language. 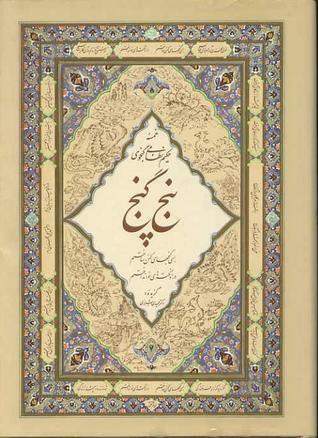 Khamseh recounts the most celebrated, delicate and eldest romantic stories of the Persian language. Documentary heritage submitted by the Islamic Republic of Iran and recommended for inclusion in the Memory of the World Register in 2007.Tabriz, a city some 600km northwest of the Iranian capital Tehran, was in its heyday 700 years ago, the capital of the Mongol dynasty in the Islamic Republic of Iran and a regional intellectual and cultural hub under Il-Khan Mahmud Ghazan (1295-1304). Ghazan Khan’s wazir, or Lord Chancellor, Khajeh Rashid al-Din Fazlollah Hamadani, was a brilliant doctor and mathematician. He was the author of the monumental Persian-language history, Jami al-Tawarikh, and founded an academic complex known as the Rab’ i-Rashidi, or Suburb of Rashid, on the outskirts of Tabriz. This contained a paper mill, library, teaching hospital, orphanage, caravanserai, textile factory, teachers’ training college and seminary and attracted students and thinkers from as far away as China. The purpose of this endowment, or waqf, was to ensure that as many of the scientific treatises authored by Rashid al-Din or which fell into his possession, could be copied as protection against destruction. 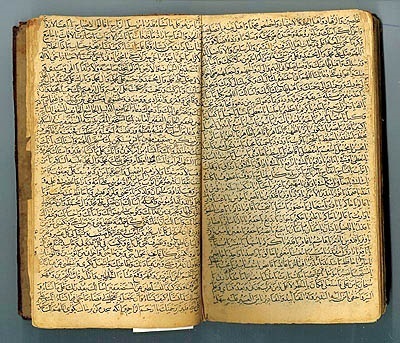 The Kitab al-Masalik wal-Mamalik (The Book of Itineraries and Kingdoms) was written by Abu Is’haq Ibrahim ibn Muhammad Istakhri, who lived during the ninth and tenth centuries. The National Library and Archives of Iran holds the Persian version of the book while the Arabic version is kept at the library of Germany’s Goethe-Institut, Etemadi said. Estakhris’s great book was submitted by the Islamic Republic of Iran & Germany for inclusion in the Memory of the World Register in 2014. The Kulliyat-i Sadi is composed of Persian poet Sadi’s Bustan (The Orchard) and Gulistan (The Rose Garden). 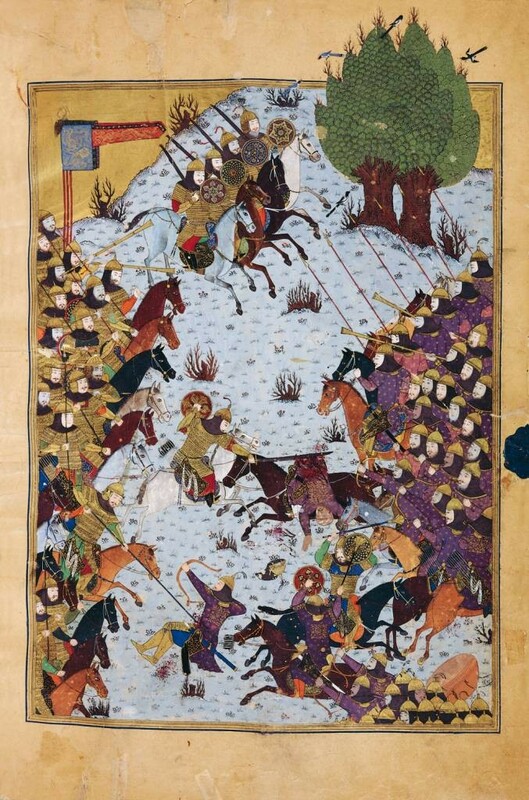 This version, which was calligraphed during the 14th century, just 60 years after Sadi’s death, is preserved at the National Library and Archives of Iran, the director of the Public Relations Department of the Iranian National Commission for UNESCO, Farhad Etemadi, told the Persian service of ISNA on Saturday. Iran keeps another version of the collection at Astan-e Qods Razavi Library in Mashhad.